This week on The One You Feed we have Lama Kathy Wesley. Wow…episode #30. Thanks to all of you listening out there. This interview was the 2nd interview we ever conducted and our longest episode we have ever aired. We conducted the interview at Lama Kathy’s meditation center. It is a beautiful facility and a great room to record in. Early on we thought it would be a good idea to talk as long as we could and then edit it down to our usual ~30 minute time frame. We learned the hard way that editing that much material is very time consuming and painful. It’s painful because there are so many great insights that it hurts to limit it. I think we talked with Lama Kathy for over 90 minutes. We were simply unable to get much below an hour for the total because it was such a great interview. 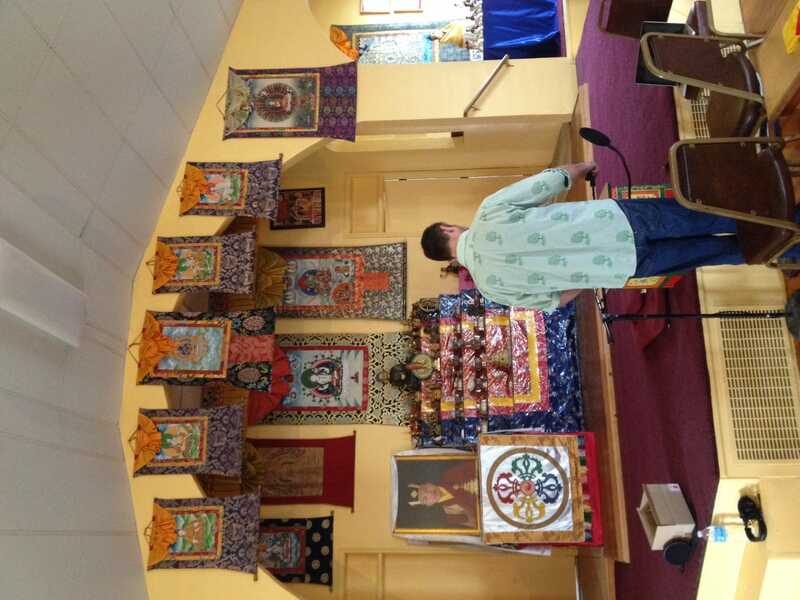 We conducted it at the Columbus meditation center where Lama Kathy is the resident teacher. 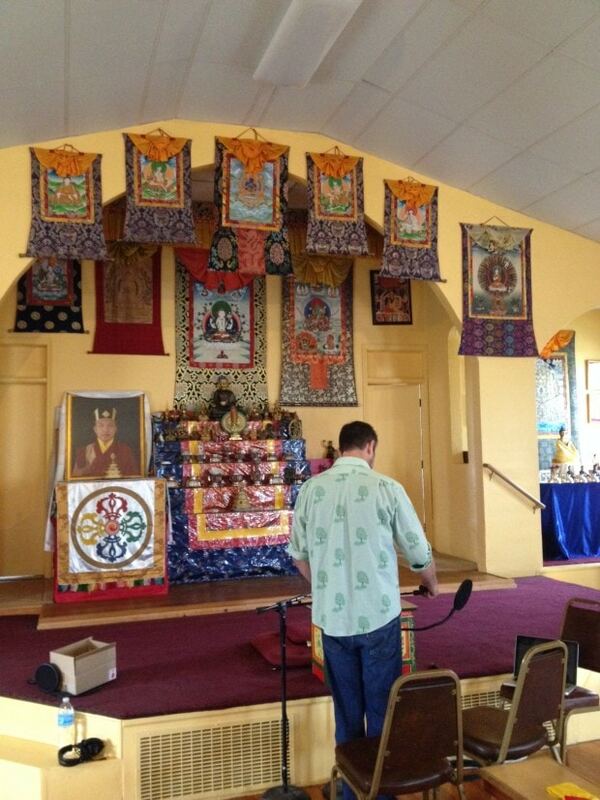 It is called Karma Thegsum Choling (KTC) and is a Tibetan meditation center. It is part of the Kagyu lineage which stretches back in an unbroken line of teachers to the 10th century. 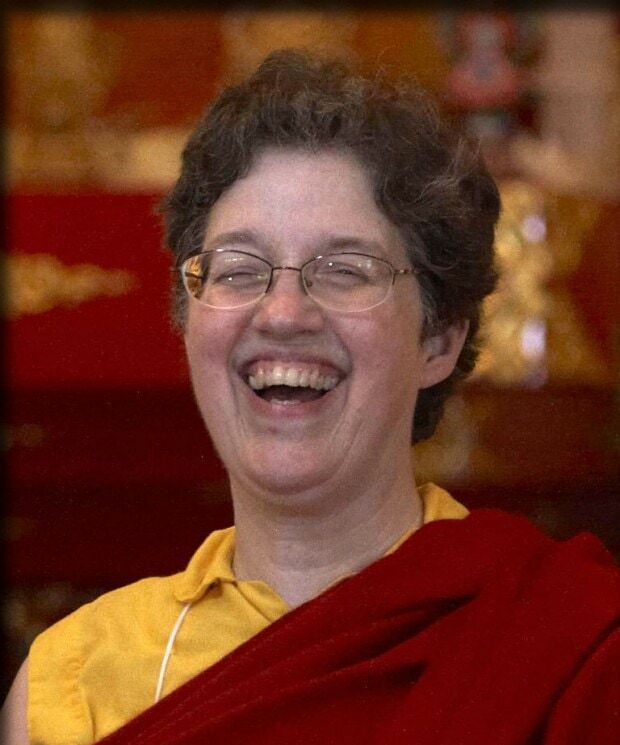 Lama Kathy is the resident teacher at KTC and is in frequent demand, teaching at centers throughout the US. She has been a student of Khenpo Karthar Rinpoche since 1977. She participated in the first three-year retreat led by Khenpo Rinpoche at Karme Ling Retreat Center in upstate New York, and thus earned the title of “retreat lama.” She is a graduate of Ohio State University with a bachelor’s degree in journalism and lives in Newark, Ohio with her husband, Michael. How she became a Buddhist lama. The one teaching that is most important. How her life no longer belongs to her, but to everyone. The reason to pursue spiritual teachings. That people come to spiritual path out of pain or confusion. The importance of a spiritual method or technique. How our stories in our mind change as we quiet the mind. How some relief from our own pain and suffering makes it easier to help others. The value of a good teacher. The different approaches to meditation. How happiness and suffering arrive from the inside. The importance of picking a path and sticking to it. How egotism can co-opt anything. The obstacles we face on the path of spirituality. The beer commercial approach to spirituality. The difference between effort and struggle. How love and compassion are always the answer. Love the podcast but am concerned about the use of black= bad. White=good in the wolf image. Very subconscious racist reinforcement. Wish you’d flip that image. “Planting the subconscious thought, ‘May I be of benefit to you,’ changes every relationship. It changes every interaction. And it makes every moment of your life meaningful.” Another great episode!